Friday, May 25th, 2018 at 4:34pm. As a military family, you’ll probably move a few times during your career, either from one local home to another or to a different base, a couple states away. Some of that will depend on your personal preferences on relocation, as well as the needs of your military branch and your rate, and the nearby commands at which you could be stationed. Your first military move could be the first truly stressful thing you experience as a military spouse. But, with the right amount of pre-planning, there are ways to get through your first PCS move like a seasoned pro. 1. Know your schedule, in advance. Wednesday, October 19th, 2016 at 3:33pm. One of the harder parts of a PCS happens after all the boxes are unpacked. When you are no longer busy with all the details of the move, you come out from under your pile of boxes and emerge from the house and realize you’ve got to find some support, connections, and friends. Being new in town is a challenge, but the good part is you are not alone, and there are plenty of ways to find friends. Facebook is not a good substitute for real friends, but it is a great place to scope out what is happening around you and plug into the social calendar of your base or town. Monday, June 20th, 2016 at 3:25pm. Earlier this month, Kristen Smith of the SpouseBuzz.com blog wrote an article entitled “This Is It, the PCS Pause.” Kristen is a military wife and social media maven who has tackled a topic that anyone facing a relocation has dealt with, but with a dash of hope and some serious silver lining, both of which can be in short supply when you’re playing the waiting game. The “PCS Pause” is the time when you know orders are coming, but nothing is official, and you spend a lot of time chatting about what might be happening in the not too distant future. Monday, June 6th, 2016 at 3:48pm. In the early stages of getting new orders? Orders in hand and need a starting point for your budget? Curious about BAH, DITY or PPM, COLA or just need an estimate on general PCS expenses? Check out these calculators for more info. These sites are a great tool to help you come up with estimates for moving. They are not the final say in what your move will cost, but a great jumping off point as you start to get your budget and plans for relocation going! Monday, May 30th, 2016 at 3:46pm. We’ve all heard the nightmare stories of movers showing up and packing things they shouldn’t. Like the full trash bag, or half-eaten sandwiches. 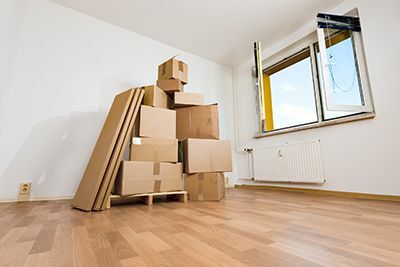 As unpleasant as it might be to unpack a full trash bag after a week in a moving truck, it is more unpleasant to do without important items while waiting for the truck to arrive. Avoid the unpleasantness by cordoning off an area of your home that is a “no pack zone” ideally behind a door that you can label as such. In your no pack zone, you should be sure to place all the things you want to keep close during a PCS move. Here are our top 7 items to keep with you during the move. 1. Orders and copies of your orders. Monday, May 23rd, 2016 at 3:29pm. Advice on how to handle all the ups and downs of a PCS move are everywhere. Just one quick internet search will open the floodgate of planning ideas, workbooks, and endless articles of advice on what works and what doesn’t. The truth about PCSing is as unique as you are. You’re looking to make a big decision. You may not even be in the same country. You’ve never visited the place you have orders to before. You’re a military spouse tasked with buying a house, and your partner is deployed- those are just a sliver of the potential scenarios you might face. Throw in kids, pets, timelines that may or may not be set, time zone differences, and an array of other unique factors, and you can see why PCSing is a topic that generates so many advice columns.